A realtime chat-based game built with React, Redux, and Firebase. Players don't have to log in and can immediately start playing. Host a private game with your friends or join a game of strangers. By night, the werewolves vote to slay a villager, while the Priest picks a player to protect and the Seer can learn a player's secret role. When day breaks, villagers deliberate and vote to execute a player they believe to be a werewolf. 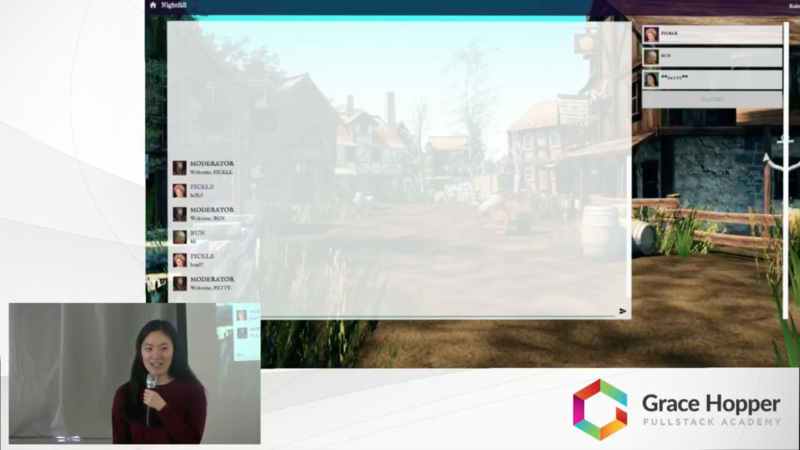 All players interact in real time, but each player has access to different information depending on their role. This is facilitated by an automated moderator who handles everything from narration, to prompting and accepting valid player actions, to preparing the next stage of the game. With added features such as a purgatory chatroom, easy voting buttons, and a mobile-responsive UI, we stay faithful to the original game while adding our own improvements.